The operation of the evacuation of civilians and opposition fighters from east Aleppo in Syria has been suspended, regime officials said on Friday. The news came minutes after Reuters said explosion sounds were heard at the location from where evacuation buses were departing. Following the suspension, pro-regime Iran-backed militias reportedly opened fire on the evacuation convoy, and then took 800 hostages after attacking the convoy. The operation had previously been sabotaged by the Iran-backed militias, killing four civilians and wounding several people on Thursday when the first evacuation convoy departed from Aleppo. 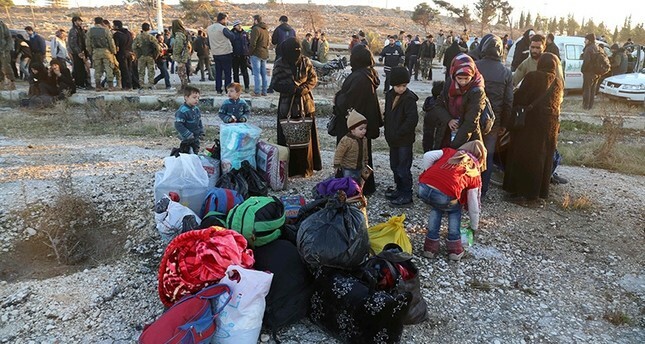 Sixth evacuation convoy carrying wounded civilians and opposition fighters was enroute to Idlib, and around 7,500 civilians and opposition fighters have been evacuated, officials said on Friday.